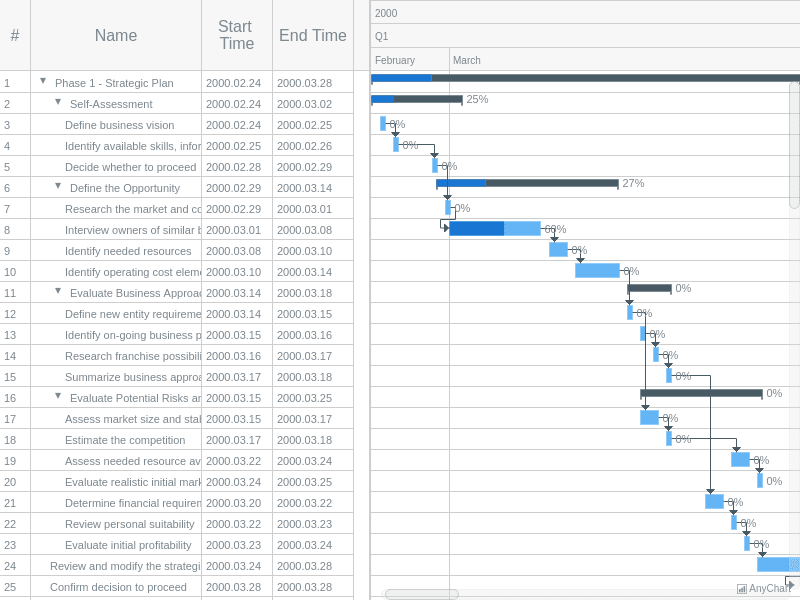 Gantt Charts Gantt Charts, Activity-Oriented Charts, Human Resources, Planned-vs-Actual, Server Status List. 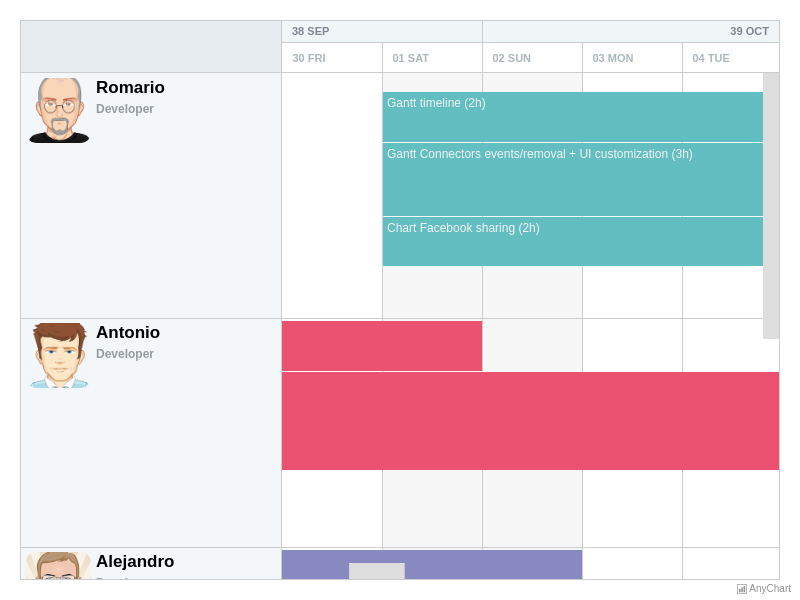 Gantt General Features Main AnyGantt Features and Options. 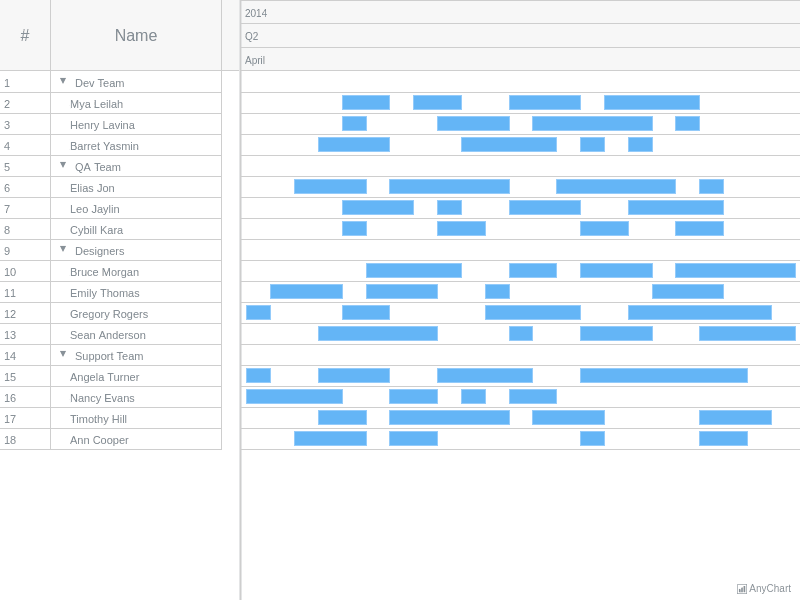 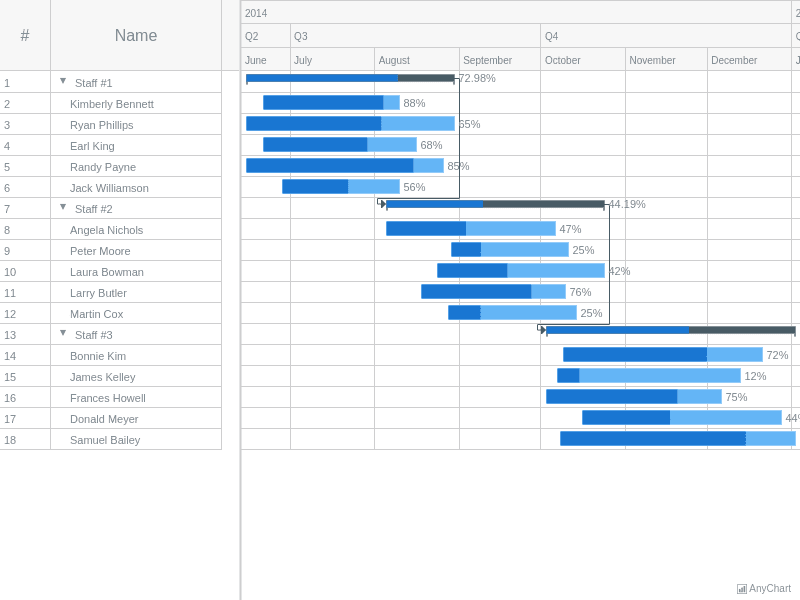 Gantt Working With Data Section demonstrates process of working with data while using AnyGantt component. 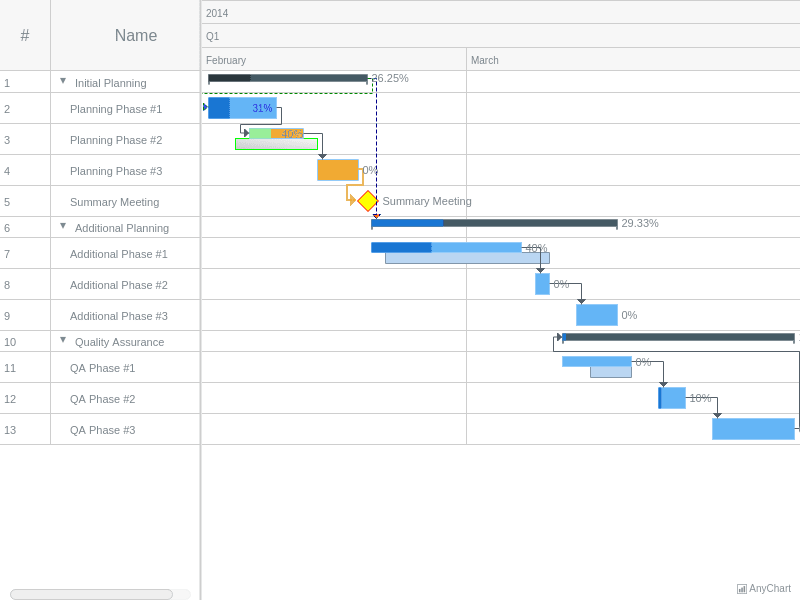 Gantt Live Editing AnyGantt Live Edit Feature Demos. 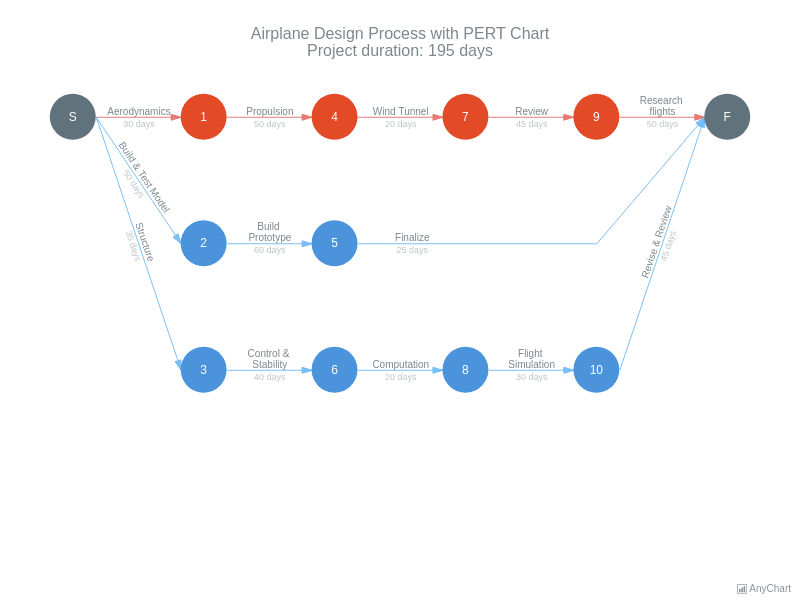 Pert Charts PERT Charts Samples.